Each island has exactly one numbered cell, containing a number between 1 and 9. The number of white cells (including the numbered cell) in this island is equal to this number. Two cells are connected if they share a side. Two cells belong to the same island if there exists a path going through connected island cells. All water cells (black) are connected. Water cells are connected in the same manner as island cells. Within a 2×2 block there must be at least one cell belonging to an island. 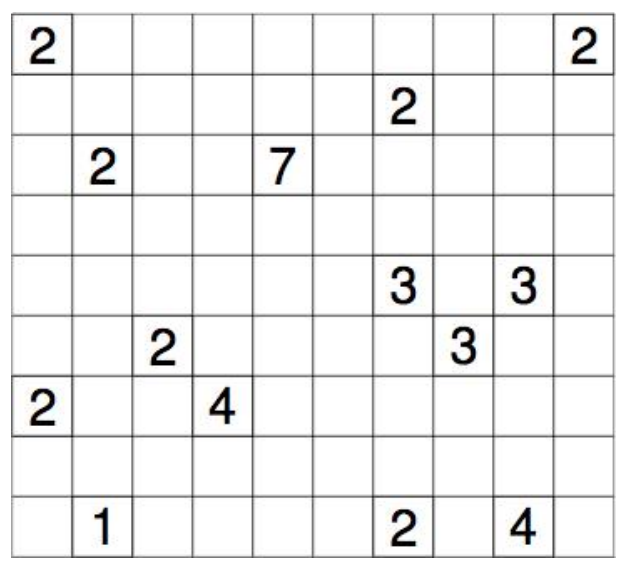 In this problem, you are asked to verify that Nurikabe puzzles are solved correctly. The first line of input contains a single number T, the number of test cases that follow. The first line of each test case contains integers N and M, the size of a puzzle in rows and columns. The next N lines contain the rows of the puzzle. Each line contains characters from the set 123456789.# where . and any digit represent an island cell and # represents a water cell. Recent surveys indicate that more than seven billion chocolate chip cookies are eaten annually. For each test case, output YES if the board is filled in correctly according to the rules, and NO otherwise.